You deserve a springtime reward. 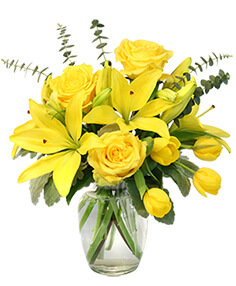 LYNN'S FLOWERS & GIFTS INC will design a glorious bouquet of spring flowers for your home. Bring in the spring sunshine with a vase of daffodils. Capture the fresh breeze of a spring day with a basket of flowers. Celebrate the simple pleasures of spring with blue iris, pink gerbera daisies or rosy tulips. Feel the day's delight with spring flower arrangements. Everywhere you turn in Saint Peters, NS the revival of spring is felt. 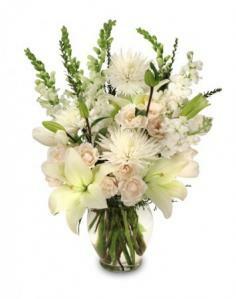 LYNN'S FLOWERS & GIFTS INC has a charming collection of spring flowers waiting to brighten your day. 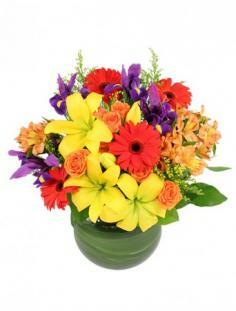 LYNN'S FLOWERS & GIFTS INC captures the essence of the autumn harvest with their colorful fall flower arrangements. Radiant reds, rustic browns, and golden yellows are all perfect for this season. Having a party or get-together? Nothing adds more to a room than a festive fall arrangement. It's the perfect coversation starter! Whether you want to send as a gift or keep for yourself, LYNN'S FLOWERS & GIFTS INC can help with any type of fall flower arrangement! Let LYNN'S FLOWERS & GIFTS INC take your breath away with the beauty of winter flowers. Hollies, pine, cedar and poinsettias are all traditional winter favorites. Send an all-white floral design to remind one of fresh snow. Get festive by adding ornaments to your winter flowers. Winter flower arrangements make the perfect centerpiece for any seasonal party. 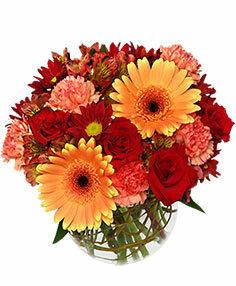 Make someone's day by sending them beautiful winter flowers from LYNN'S FLOWERS & GIFTS INC.